in exchange for my honest review. No other type of compensation was received. Sometimes, I wish I were a teacher. When I was a little girl, my mom said that I’d be a great teacher someday. Well, by God’s grace, I did become a Sunday School teacher for 10 years–and then, a college instructor. I hope that God will bless me with the opportunity to teach again. Anyhoo, I can only imagine the reaction on kids’ faces if they were to have a prize table setup like this in their classroom! Either they’d be super, super behaved, or they’d be out of control (if you’re a teacher, please do tell)! We styled this owl party prize table (with matching free printable owl gift tags) for an upcoming end-of-school party (but this will also work well for a back-to-school party)! Are you with us in counting down the days? 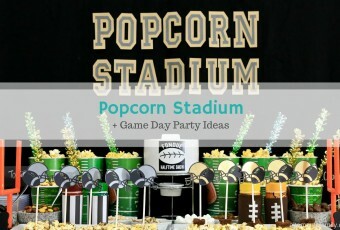 In any case, this setup will also work for a back-to-school party or a kindergarten graduation party; or, you can adapt it to any family-friendly party! 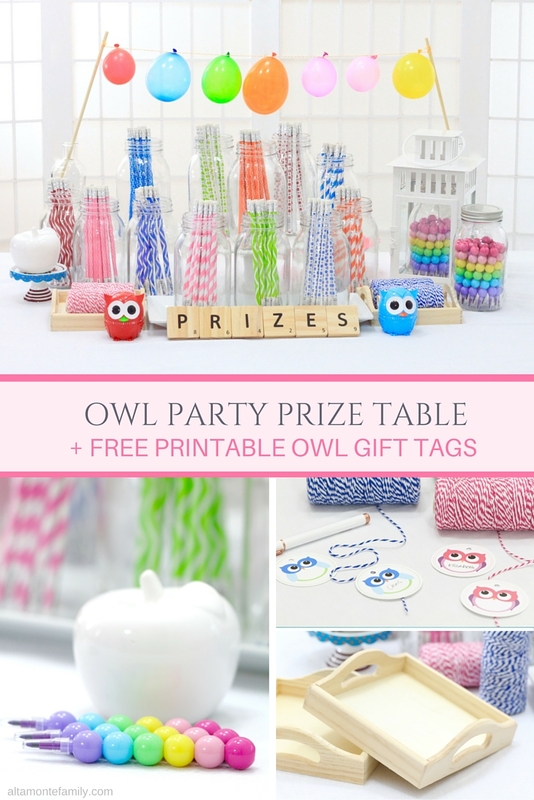 The concept behind having school supplies instead of candy or toys on the owl party prize table is not only centered around education. It’s also about cultivating a giving spirit. 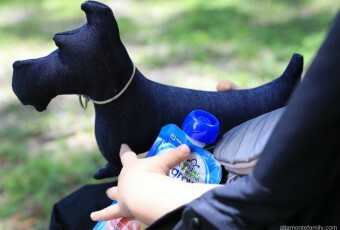 Kids are encouraged to choose prizes not only for themselves but also for others, including their teachers! Besides, school supplies are more universal than toys or candy–and they’re not perishable! When claiming their prize, kids receive an owl gift tag with their name on it, along with a blank gift tag so they can share some or all of their prizes with others. Besides sharing with kids they may already know, there are many other ways to give (or give back): think school supply drives, donations to local churches, schools, and charities, etc. We’re sharing the free printable owls today, so that you, too, can use these gift tags to inspire the next generation of philanthropists. You’ll find the link to the free printables at the bottom of this post. Perhaps among the most eye-catching items on display are these colorful plastic round stacking crayons! 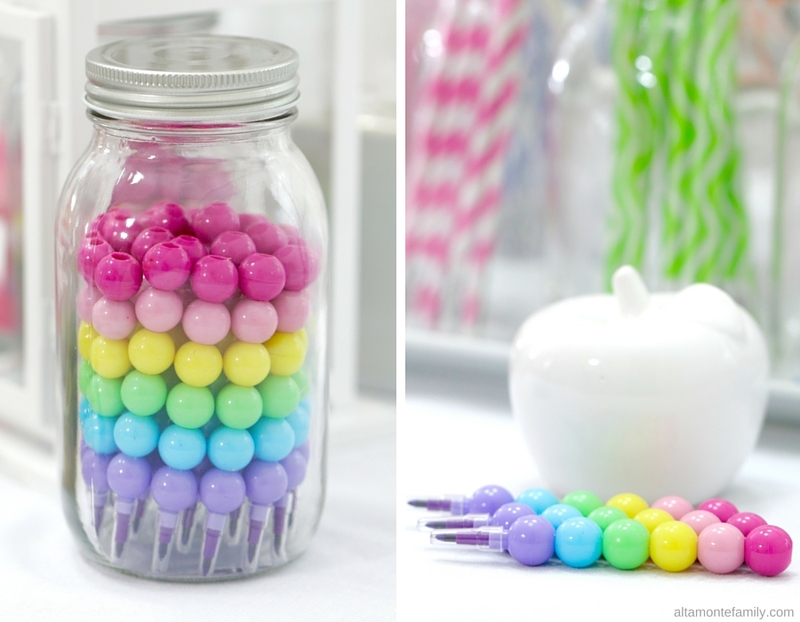 They look like gumballs–only they’re better for you! Of course, not for food consumption, but for some awesome creative consumption! Such creative moments are always double the fun when shared–or, when gifted! Kids get the chance to win a single stacking crayon or the entire 30 oz. mason jar filled with a whopping 2 dozen of them! This mason jar gift is designed to be gifted to teachers so whoever wins this prize gets to give something pretty (and pretty practical) to a very special educator. Having the owl gift tags and baker’s twine on the table makes for easy on-the-spot giftwrapping! These 30 oz. 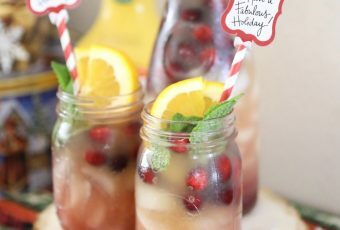 mason jars are one of our favorite ways to “giftwrap”. 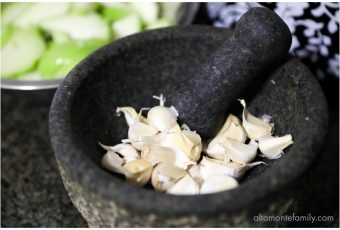 They’re quite versatile and useful–a great storage organization tool! Bet the teachers will love them, especially when they’re filled with attention-grabbing school supplies! Hoooo would’ve ever thought that decorating a party (or prize table) with pencils could be so much fun? We’re really loving the dual purpose of these festive fun print pencils (they come in 12 different styles, and you’ll find 12 pencils per style)! That’s a total of 144 pencils! Whoa! These are now going to be one of our go-to party pencils! Don’t they look like super cute paper straws? We even organized them in 30 oz. 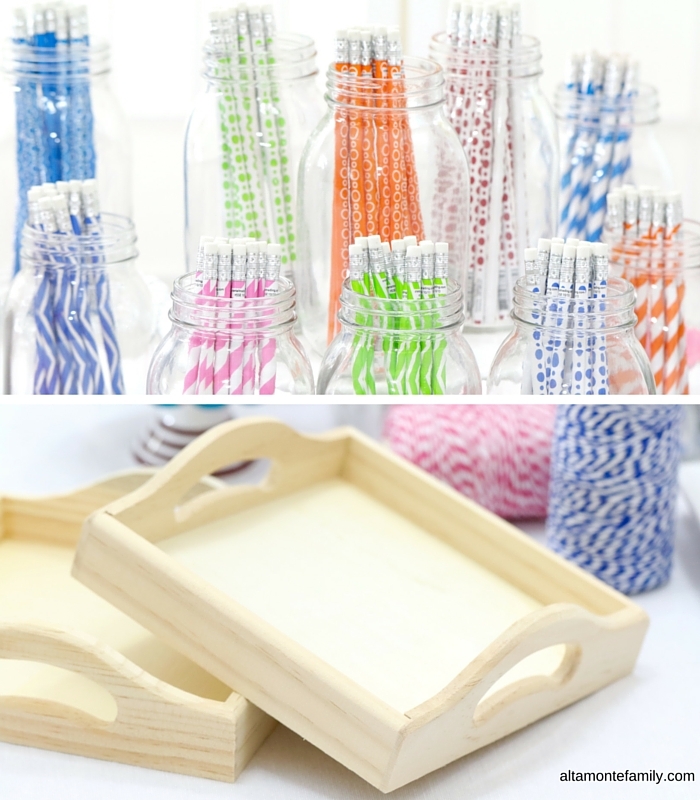 mason jars as if they were straws! These fun print pencils are great for party decorations, prize items, and gifts! They’re fairly inexpensive rewards! They come in a variety of blue, green orange, red, and pink. Then, we have these DIY wooden trays (each tray measures 6″ x 6″ x 1″). 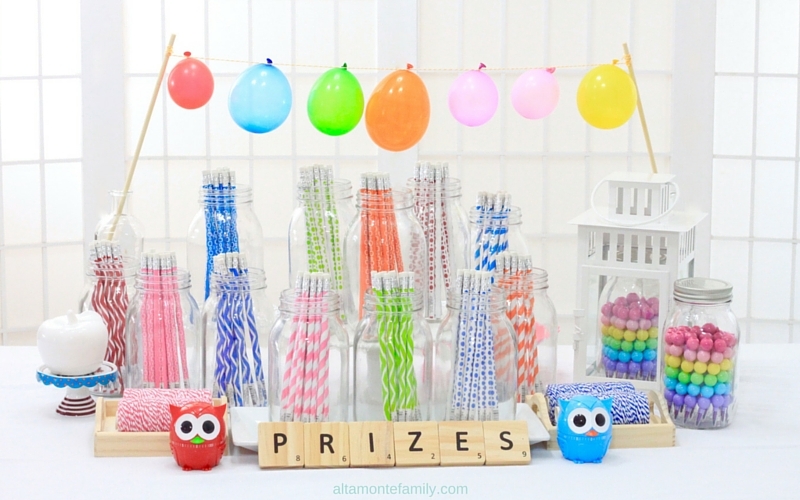 Not only do they keep our owl party prize table organized (like the 30 oz. mason jars), each child gets to receive one as a “loot bag” item (we turned them into DIY Dry Erase Tile Trays to get the kids to wind down just before going home). Let’s not forget about the grand prize. It’s the same 30 oz. 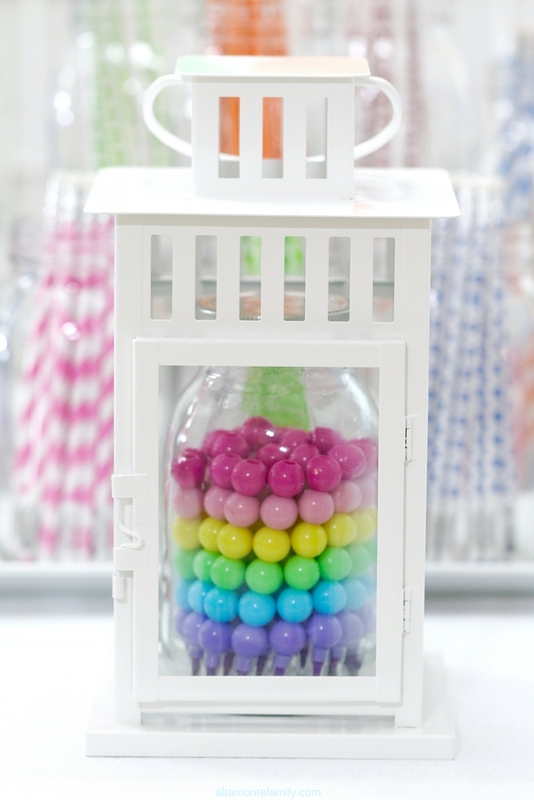 mason jar filled with 2 dozen colorful stacking crayons–only this time, it comes with the lantern! So, who’s going to win this prize? The kids will nominate their best teacher and this grand prize will go to the one who gets the most number of votes. Before one of the parents delivers this gift to the teacher, the kids will write on the glass using a dry-erase marker. Now, isn’t that fun? 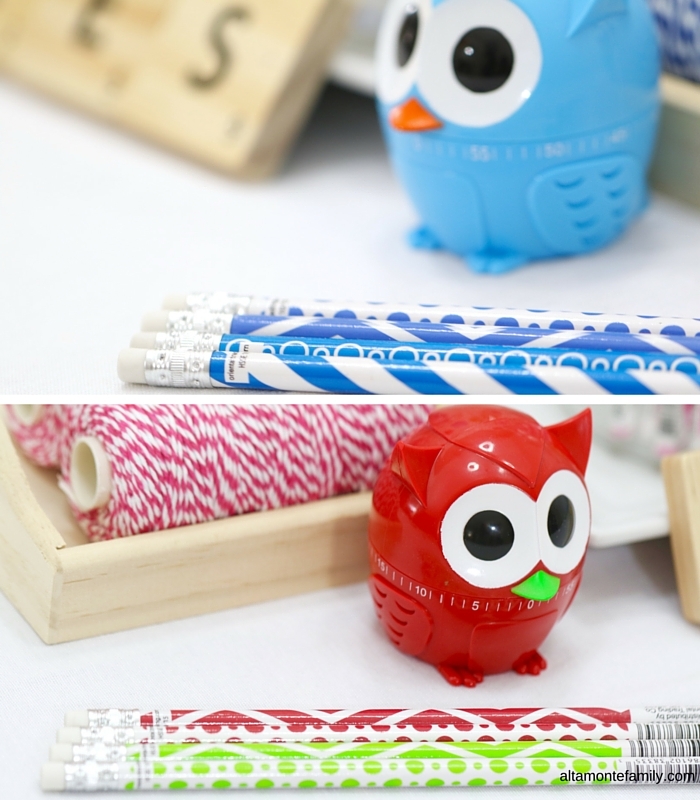 Oh, and don’t forget to remind the kids to add some twine and a matching owl gift tag! 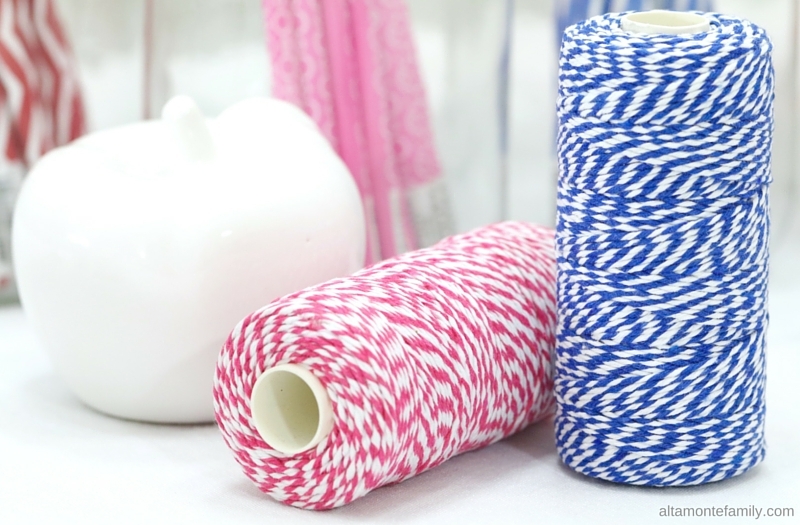 We designed the gift tags to match the baker’s twine (in hot pink and blue). In case you missed it, here’s the handy-dandy list! 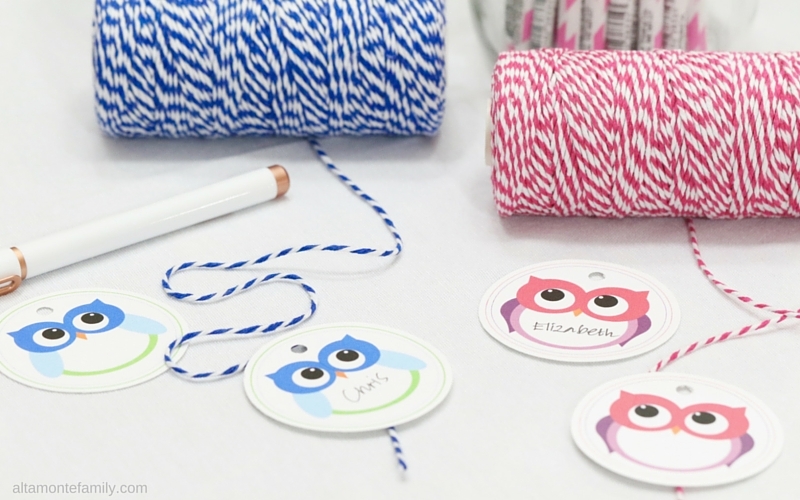 Our free printable owl gift tags / labels come in 2 different color schemes to match the baker’s twine. 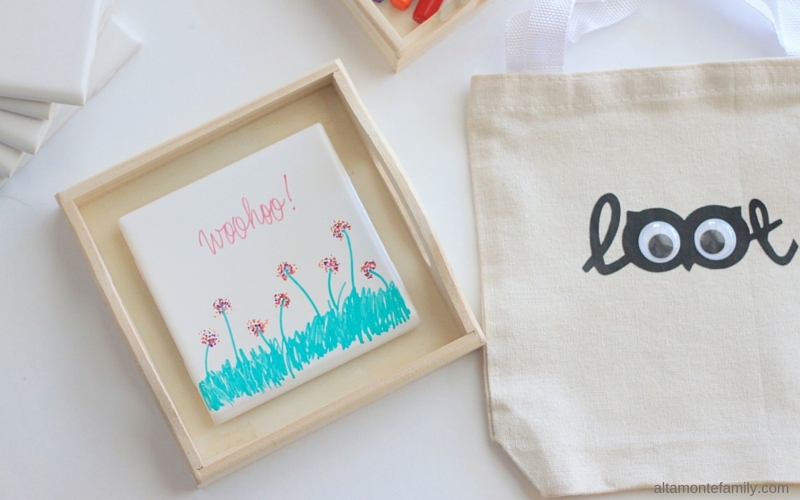 Click on any of the buttons below to get the free printable! So, hooo’s ready to party? Looking for other owl printables? Let us know in the comments. 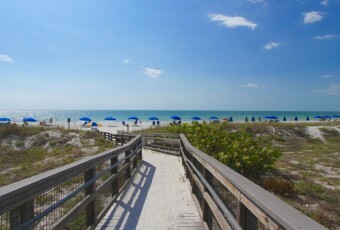 Til next time!